I’m using all my restraint to keep from giving you another pumpkin recipe so that I can give you the fall recipe you have all been waiting for–roasted brussel sprouts. Wait! Don’t go yet! I promise I’ll make it worth your while. These veggies get a bad rap. Just the sound of them makes your nose turn up. Unless you’ve eaten fresh brussel sprouts, roasted. These green guys are insane, I tell you. You don’t have to believe me. Believe Granola Baby. Ever try to get a baby to eat a gross vegetable? Turn oven onto 375 degrees. Cut the sprouts off the stalk and cut off the bottom. Cut them in half. Check them according to the instructions below. Heat oil in a frying pan on medium heat. Lay all the sprouts face down in the pan and let them sit, stirring occasionally, until the bottoms turn light brown (3-5 minutes). Transfer the sprouts to a baking dish and sprinkle with salt and drizzle maple syrup, if you’re using it. Roast sprouts in the oven until the outside gets crispy, about 20 minutes. Drizzle with balsamic, if you’re using it. Serve immediately. 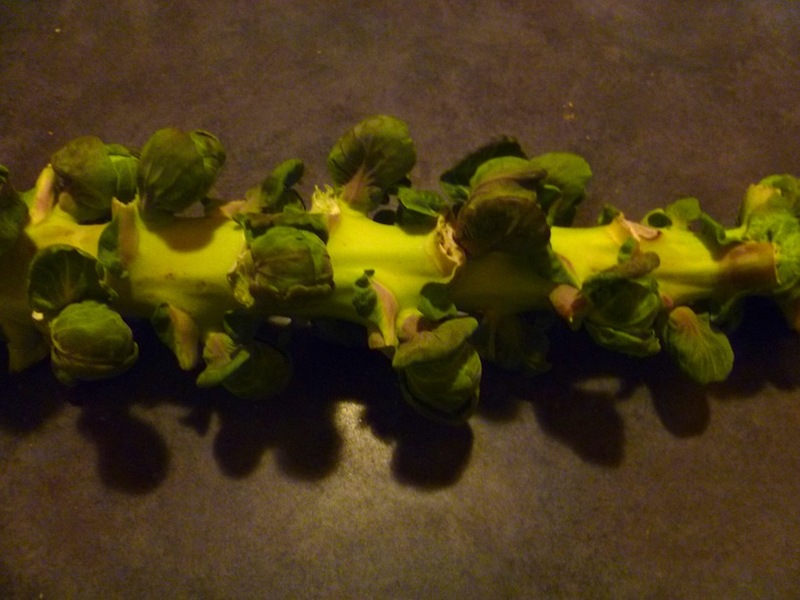 Kashrut note: Major Kashrut organizations recommend not eating fresh brussel sprouts. I can tell you how I check them, but you should ask your LOR. Cut the sprouts in half and rinse them and soak them in water. Leave them in a colander a few minutes to drain. Peel a few outside layers of each sprout to check for white bugs. If you seen even one, toss that sprout. If you peel the few loose outer leaves and see no bugs, the tight inner ones will not have them either. Don’t be deterred! This process takes much less time than it sounds. You can make this recipe with frozen sprouts, and it will still taste decent. 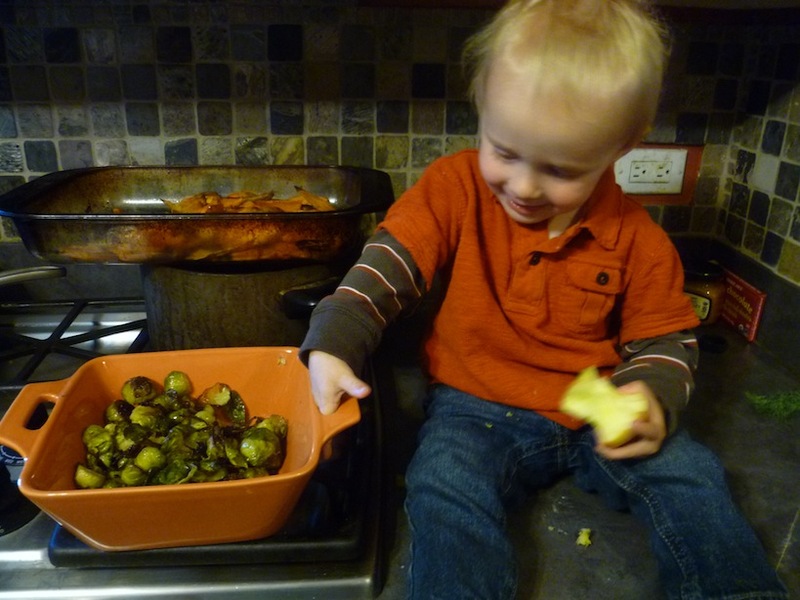 So happy to read that you get fresh brussel sprouts…frozen do not cut it. I 2nd your checking method/ assessment – works for us and doesn’t take long at all. Very easy to check when you cut them in half.